El Born is one of the most breathtaking neighborhoods in Barcelona.Charged with history,witness of the commercial prosperity of XIII century,El Born forms with the Barrio Gótico the old city of Barcelona. During the medieval times El Born was alive and bustling area.It was close to the port and many of the traders became richer and build palaces there.However,in the 16th century there was a financial crisis because of downtrend in Mediterranean trading.Felipe V destroyed a big part of the neighborhood to build a fortress.It was later converted into the beautiful Parc Ciutadela. The 19th century brought a renewal of El Born and many immigrant workers moved to the area.In 1980 a major renovation plan of the neighborhood was started. Over the last thirty years the neighborhood has turns into fantastical fashionable neighborhood.Despite humble beginnings as a settlement built on top of a medieval area ,El Born has grown into being one of the most fashionable places in the city.Today it is fashionable but very authentic. 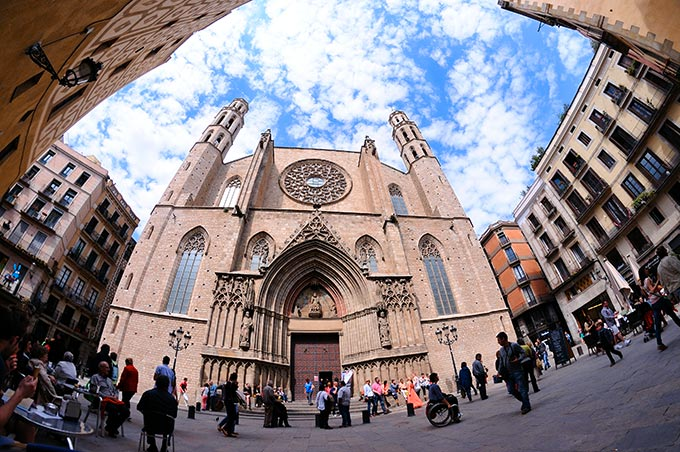 It keeps it’s medieval dress but has quite a few new accessories such as Picasso Museum, Palau de la Musica and the church of Santa Maria del Mar. El Born is perfect for families as well as tourists.It is a lively and cultural part of Barcelona with a vibrant café culture and bar scene.Every day the cafes are crowded and usually at night people move along to Passeig de Born where there are many bars,all of which serve up a mean mojito.At one end of the Passeig Del Born rises the district’s most famous building, the wonderful Santa Maria del Mar church, instantly recognisable by its octagonal towers and large rose-shaped stained glass window. 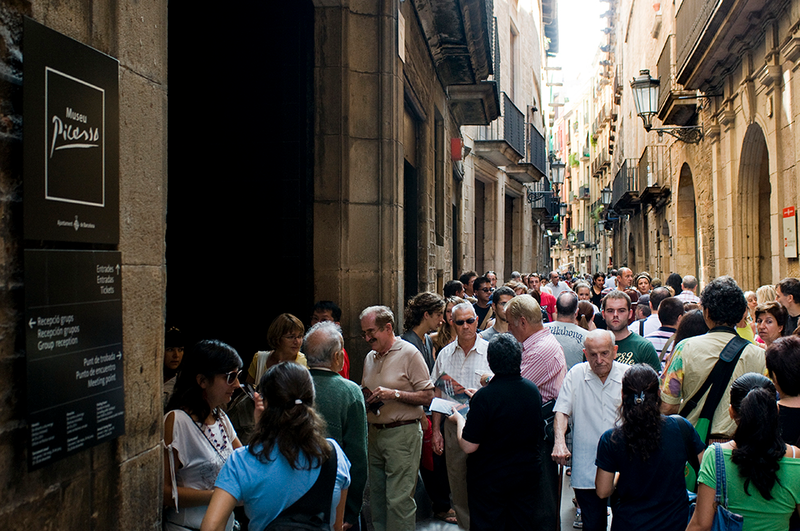 Nowadays people are attracted to El Born because it combines the cultural and night life at the same place.It can be seen that Calle Montcada was also a medieval street, which is now home to the Picasso museum and the Textile Museum which has a great little café with a terrace attached to it. The shopping in El Born is also a great experience.There are some beautiful boutiques and shoe sops which are great to find that one-off piece.Some of the trendiest shops around such as Brazilian company Colcci have chosen Born as their home. The neighborhood is easily accessible by public transportation. The main metro line that runs along side it is the Yellow Line, Line 5, and the major stops are “Urquinaona”, “Jaume 1er”, and “Barceloneta”. You can also get easy access with the Red Line 1 “Arc de Triunf”.There are also many buses which you can use! From the unique boutiques dotted around the winding streets of this old town neighborhood to the incredible architecture of centuries-old buildings, the Born area in Barcelona offers visitors the ultimate combination of modern and traditional sights!